Bacon, cheese, and buttermilk. 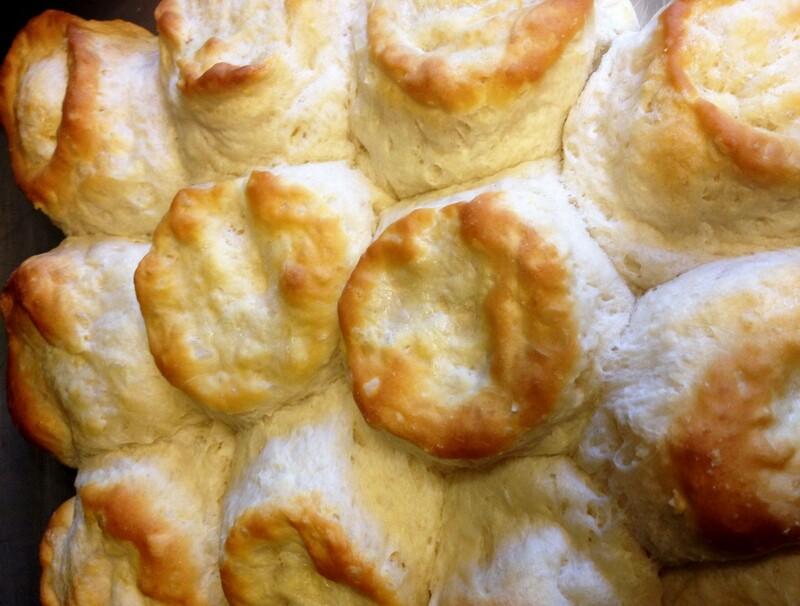 If you've got any Southern cooks in your family, your tummy is already rumbling! But even if your lineage doesn't include any Southern belles or gentlemen, you can easily enjoy this mouth-watering, artery-clogging, taste of delicious Southern hospitality at home. Let's get to it! 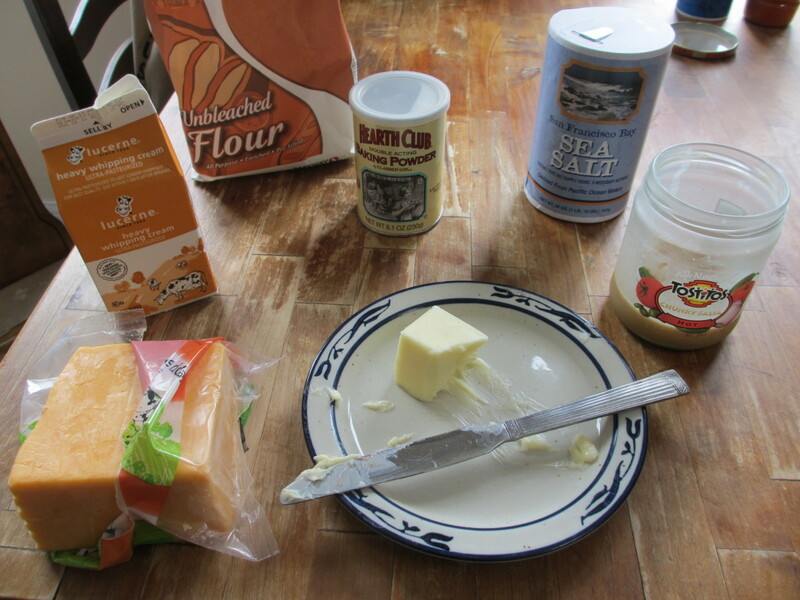 Grate a cup of your favorite cheese and set it aside. Personally, I prefer aged white cheddar, but I'll use whatever I've got around. 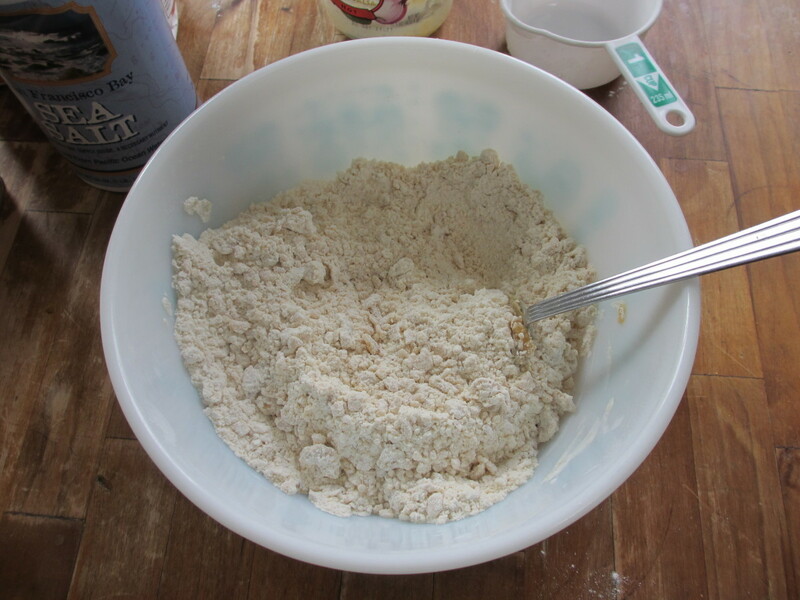 Sift the flour, salt, and baking powder together in a bowl. Microwave your bacon grease until it is about the consistency of molasses. With my microwave, it takes about 15 seconds, but tweak the timing as needed for yours. Stir the bacon grease into the powdered ingredients until they form a crumbly mixture. 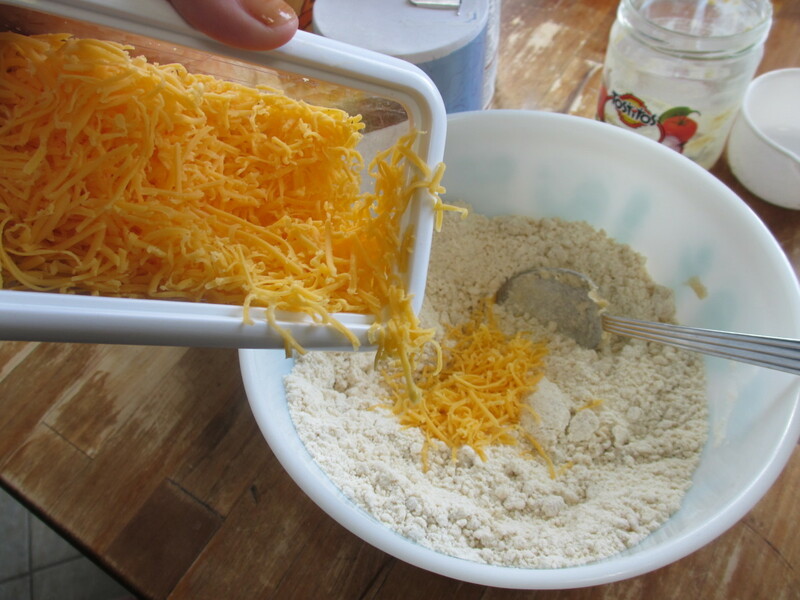 Add the buttermilk and about 1/4 cup of shredded cheese and stir until all the flour has been moistened. 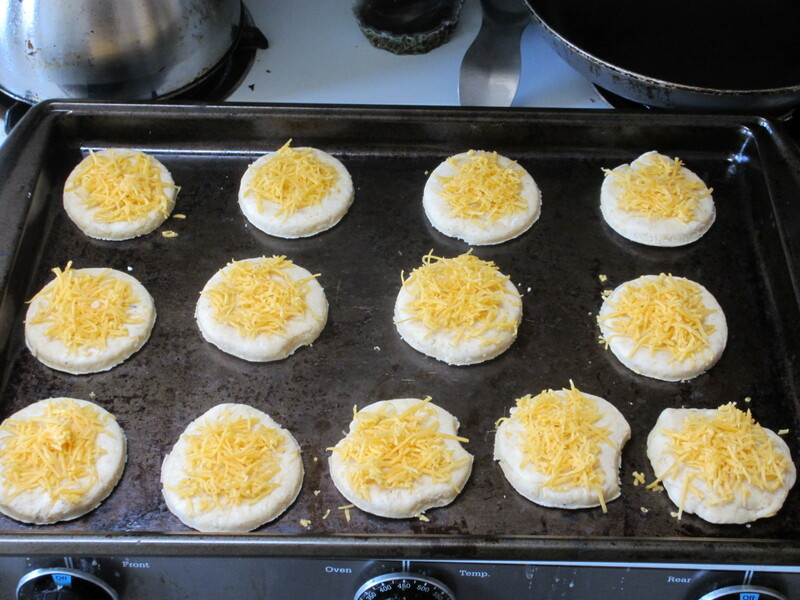 Sprinkle a bit of flour on a flat, clean surface and roll the dough flat with a rolling pin until it's about 1/2 inch thick throughout. 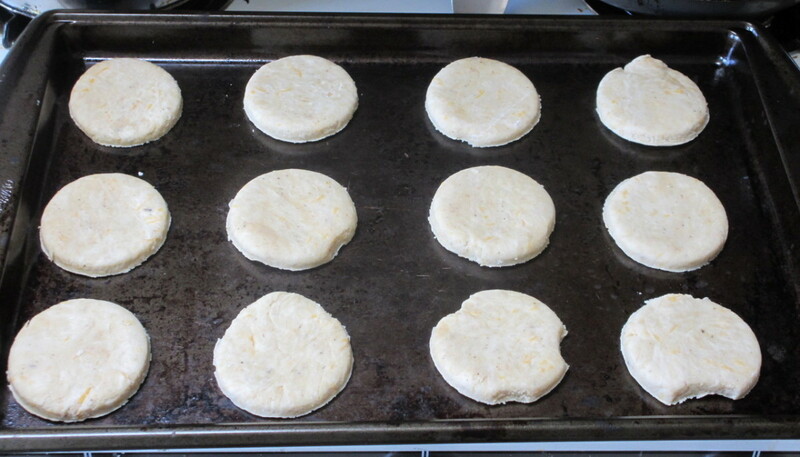 Punch out circles of dough with a cookie cutter or biscuit cutter and place them on a greased (or nonstick) cookie sheet. 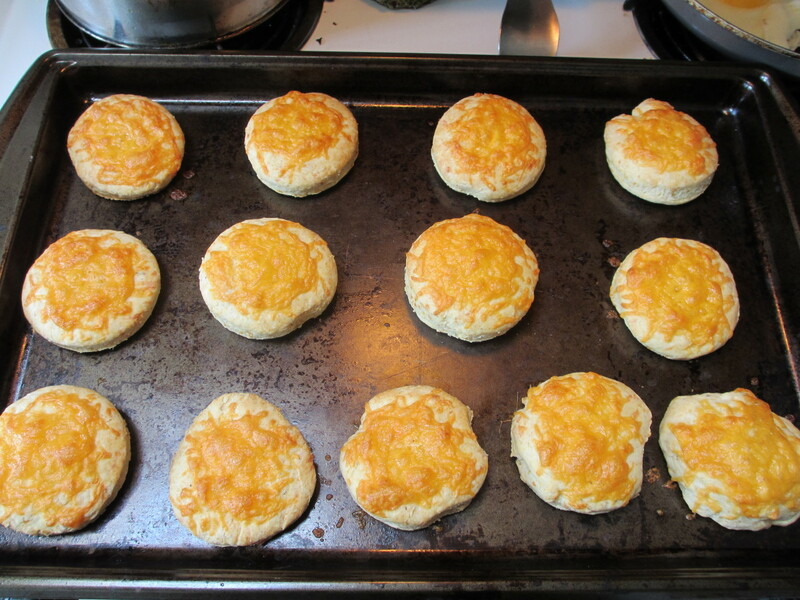 Lightly sprinkle the remaining cheese on top of each biscuit. 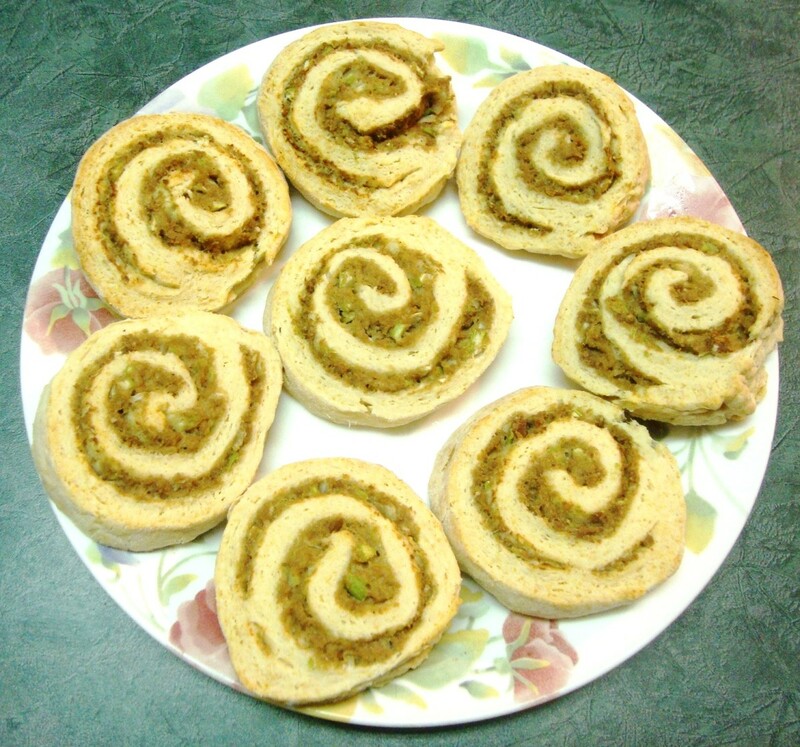 Serve hot with butter and enjoy! Make bacon! You can pan-fry it, cook it in microwave-safe dishware, bake it in a broiler pan, or cook it ANY way you like, but make sure you can collect the grease after. Save a jar to store it in (I used an old bean dip jar). If you're making bacon over the course of several days, just save up the grease until you've got enough for biscuits. But make sure you store it in the fridge to prevent the fat from going rancid! You can also make all the bacon at once to eat alongside your biscuits and just use the grease immediately. Don't Have a Sifter? No Big Deal! 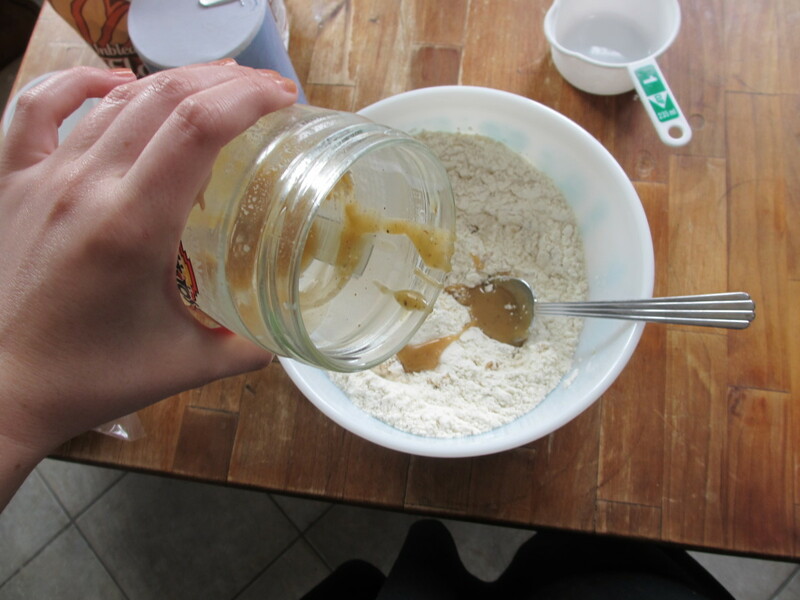 If you don't have a sifter for the dry ingredients, here's a neat trick you can do with a wire strainer and a spoon. 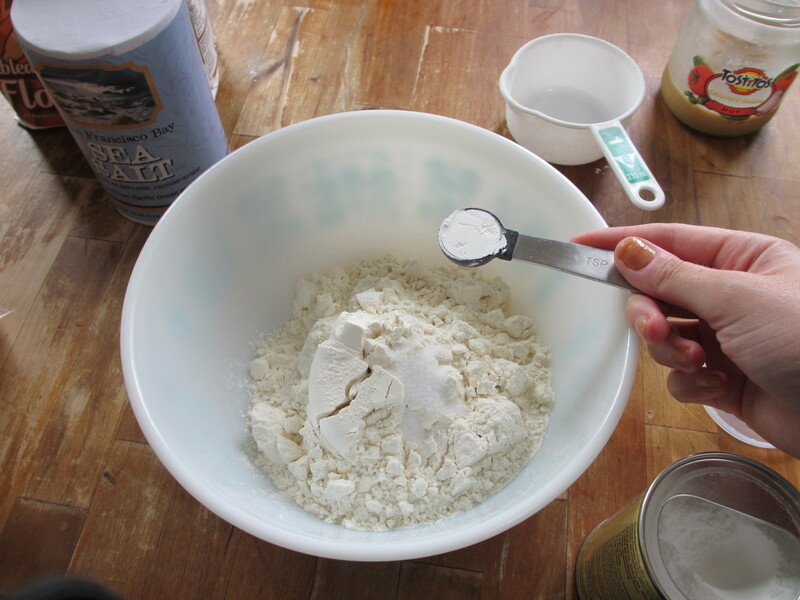 Measure your flour, salt, and baking powder into the wire strainer while holding it over your mixing bowl. 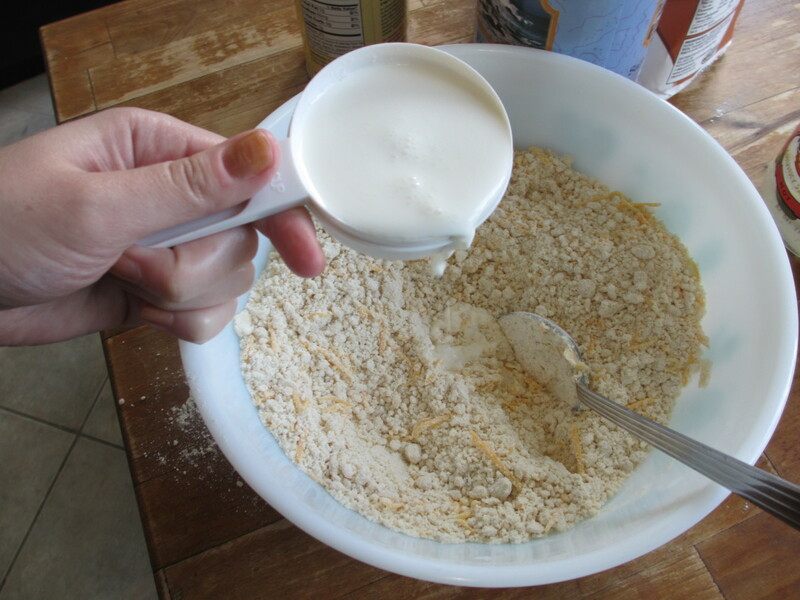 Give it a bit of gentle shaking and the powdered ingredients should fall into the bowl through the wires. 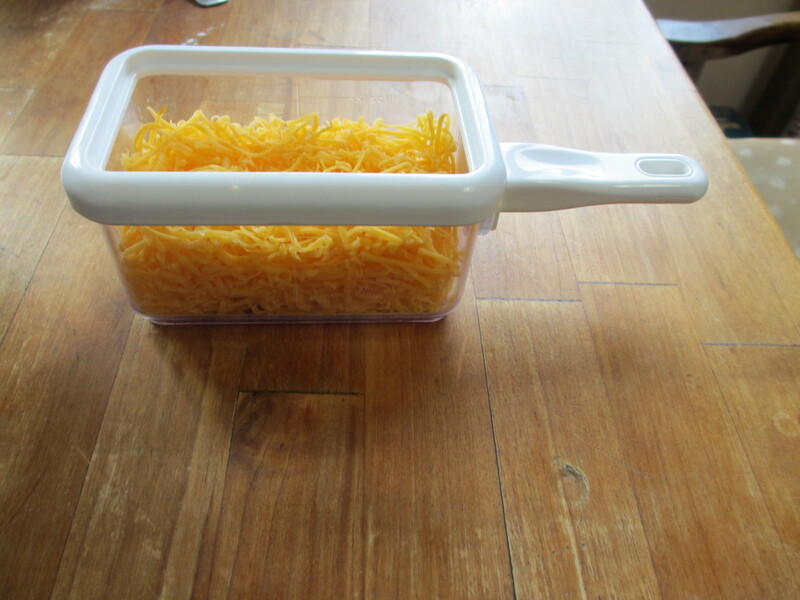 Scrape the spoon over any stubborn clumps to force them through the wire mesh. 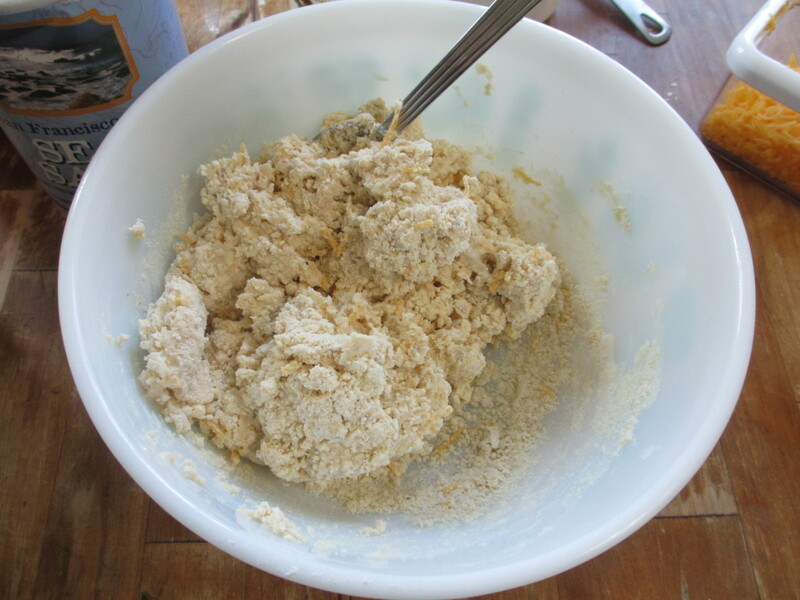 The resulting fluffiness of the dry ingredients is exactly the same as if you'd used a sifter! Don't Have a Rolling Pin? No Problem! 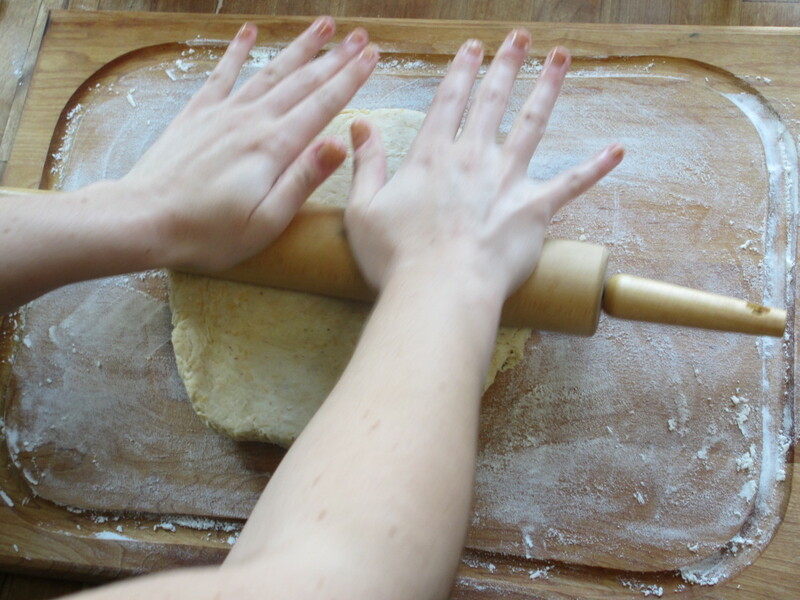 If you don't have a rolling pin, don't run out and buy one! An old wine bottle will do the trick. Rinse out the inside with hot soapy water until it smells clean. Then soak the bottle in hot water until all the labels peel off easily. (Make sure you remove the foil bit around the neck of the bottle too!) Use a scrub pad to remove any additional bits of label from the surface of the bottle, wash it with soap and water, and dry thoroughly. 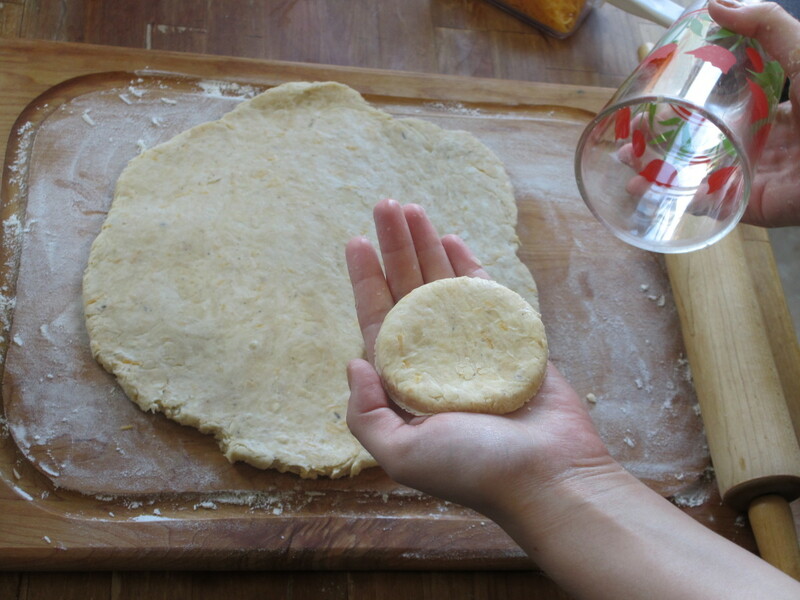 Now take your plain glass bottle and use it to roll out your dough exactly as you would with a rolling pin. 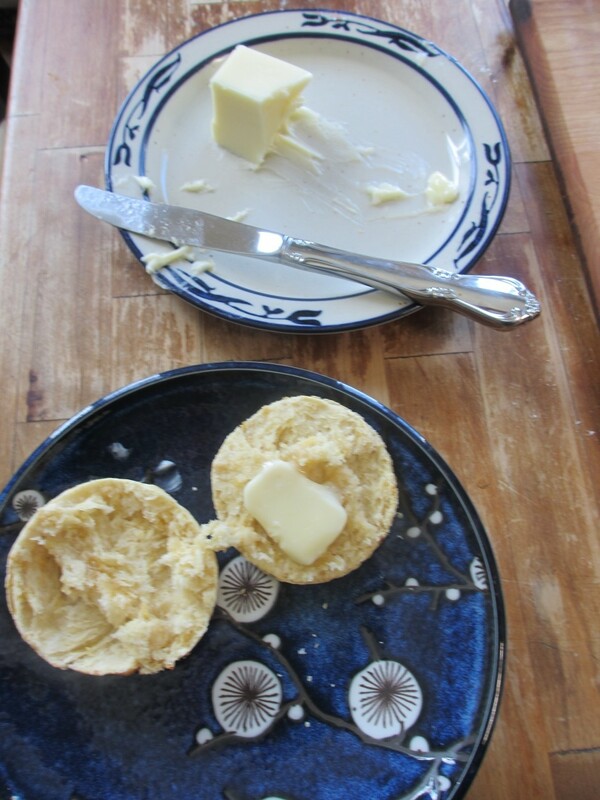 Don't Have a Biscuit Cutter? No Worries! 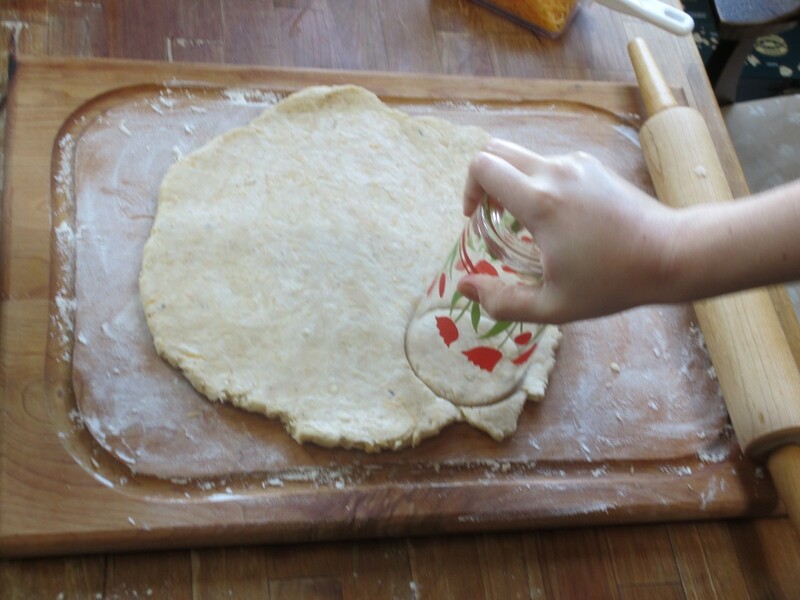 If you don't have a biscuit cutter, try using a fun cookie cutter. Hearts, stars, flowers, and other uniquely shaped cookie cutters will make fun, original biscuits. 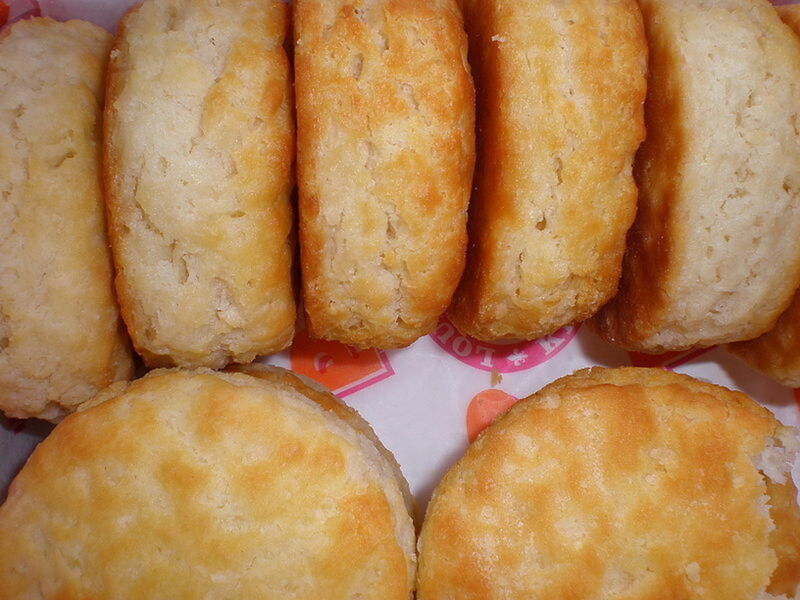 Tradition is the only thing standing between you and a non-circular biscuit! 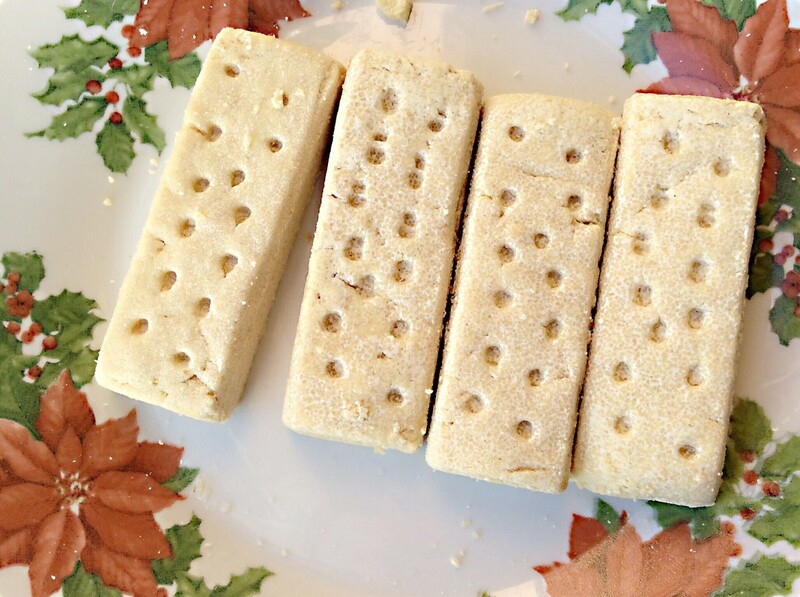 Should you find yourself with neither biscuit cutter nor cookie cutter, don't fret! Drinking glasses will do nicely, thank you very much. 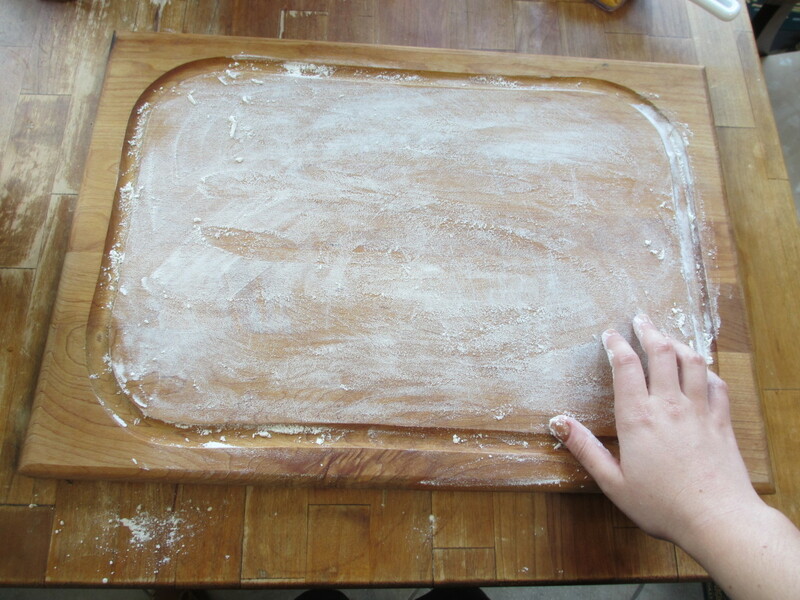 Place the mouth of the glass against the dough and press until a circle of dough is punched out, et voila! 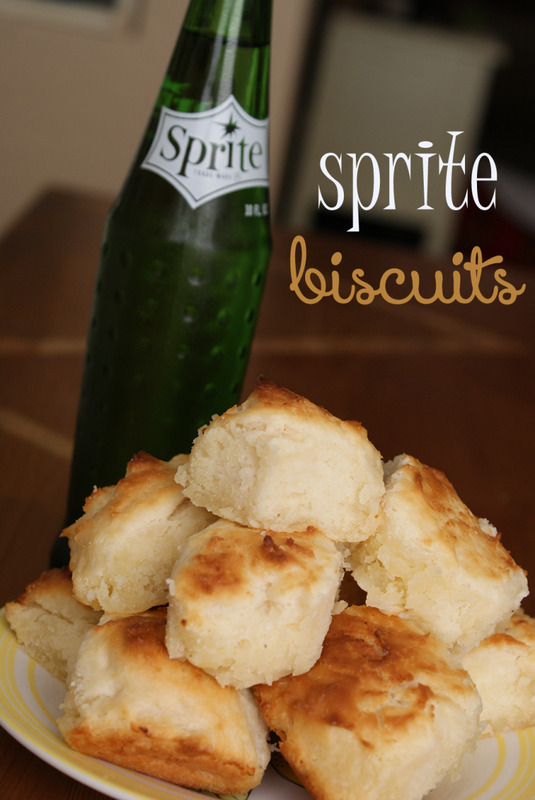 Please keep in mind that my Bacon Grease and Cheese Biscuits are a delightful indulgence, but they are not an everyday food! 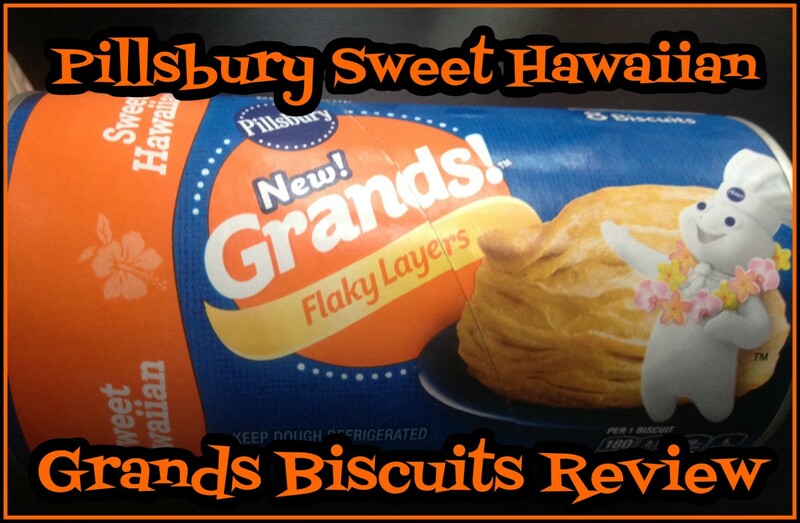 Be sure to eat a well-rounded diet and exercise regularly to minimize the health risks of fattening treats like this! 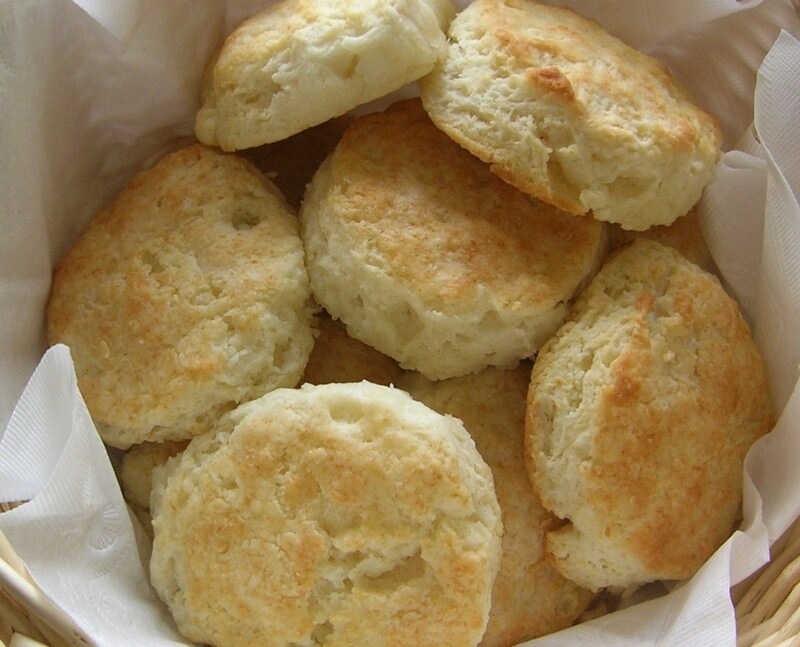 Good luck baking your biscuits! wow these look amazing!! 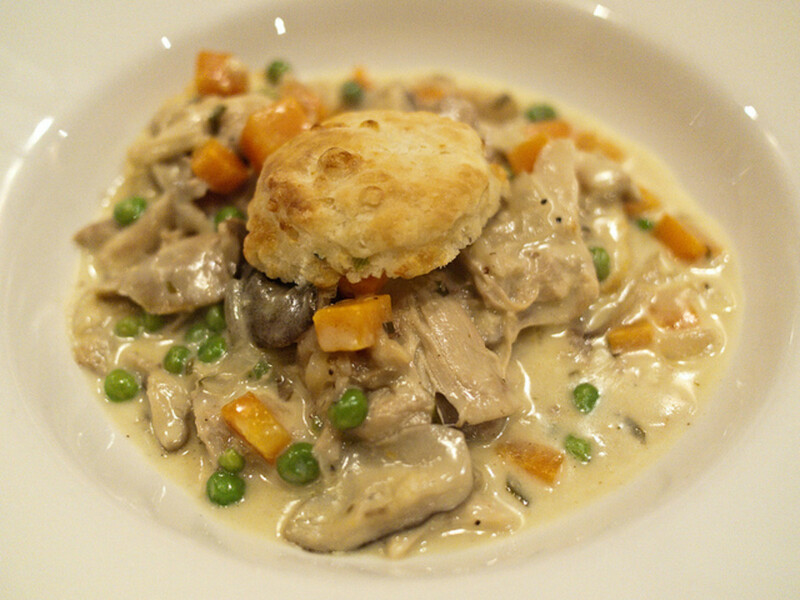 thanks for posting such a great (and interesting) recipe.